Searching for a creative year-end gift for that awesome teacher in your (or your child’s) life? Look no further! 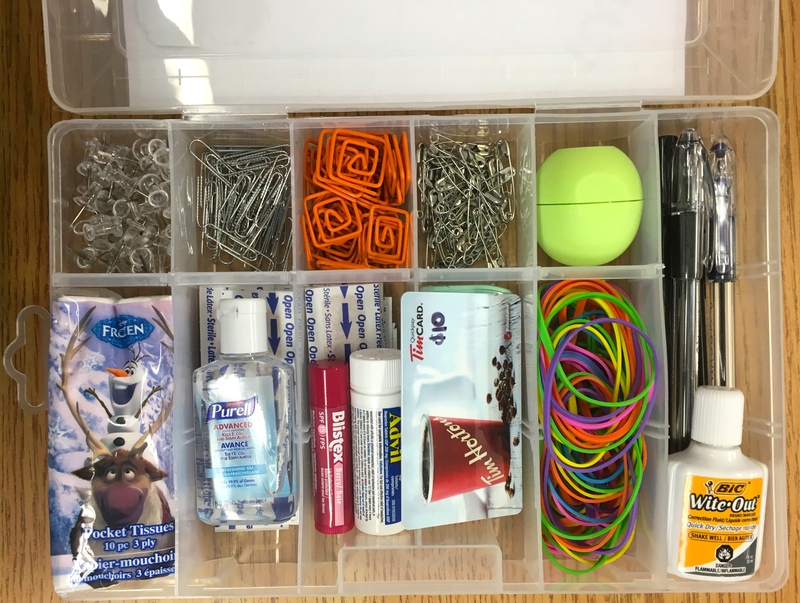 I was inspired by the ‘Teacher Survival Kit‘ post on a blog called Tried & True (great for crafty things!). This spring, I decided to adapt the tutorial presented on that blog post to create a unique gift for my associate teacher (AT) at the end of my practicum. 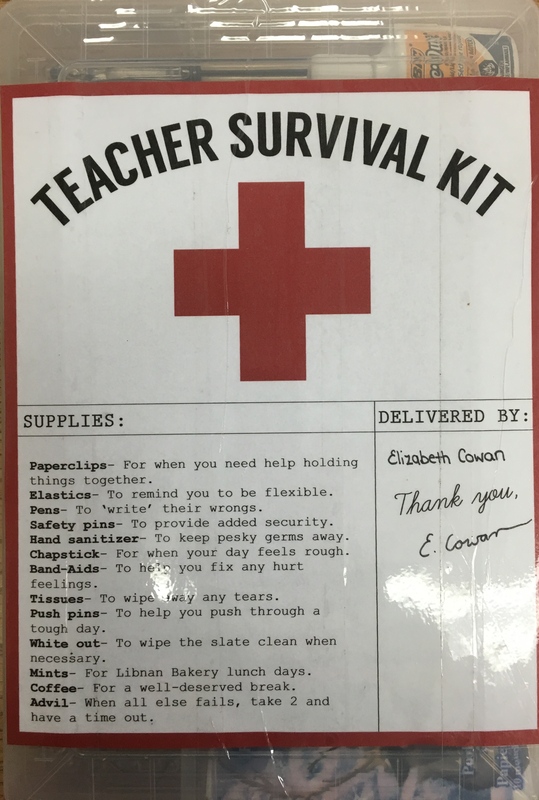 After collecting everything I wanted to include, I made my own version of Vanessa Brady’s Teacher Survival Kit printable, designed specifically for my AT. The kit itself was a plastic container with dividers that I found at Dollarama (typically used for nails, nuts, bolts, etc.). Most of the other items in the kit can be purchased at a dollar store as well. I arranged the items for easy access and visibility, and attached the printable to the front of the kit using clear packing tape. Chocolates– To maintain some level of sanity (although I was worried about them melting since my AT is in a portable). I think this is a simple, practical and relatively inexpensive gift idea that can be personalized for the intended recipient quite easily! It will get lots of use in any classroom, and comes with just the right touch of humour. Happy crafting!